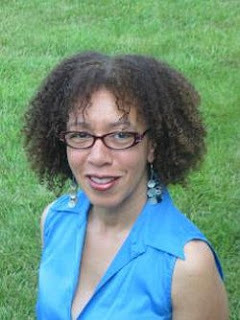 Carole Boston Weatherford is the author of the new children's picture book The Roots of Rap. 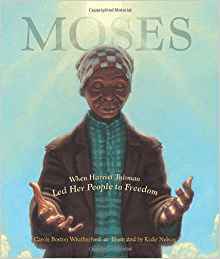 Her many other books include Moses and Schomburg. She is a professor of English at Fayetteville State University in North Carolina. 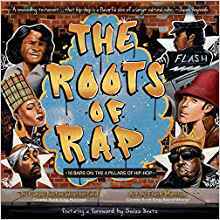 Q: Why did you decide to focus on the roots of rap in your new picture book? A: I began my career as a poet in the early 1980s when rap was taking off. Even then, I was rooted in the oral tradition, often writing in the vernacular or about jazz. Then, “The Message” was released by Grandmaster Flash and the Furious Five. Its lyricism and social consciousness resonated with the younger me. Years later, my children exposed me to a bold new generation of rappers. Like no other medium, hip hop speaks to global youth. I created a college course called Hip Hop: Poetry, Politics and Pop Culture. The course places rap on the continuum of African American oral and literary traditions. As I rethink my past work (Freedom in Congo Square, The Sound that Jazz Makes, Sugar Hill, Jazz Baby, Before John Was a Jazz Giant), I wonder: Have I been rapping all along? I only hope The Roots of Rap is a worthy tribute to the art form and artists it celebrates. Q: When you’re writing about music, do you try to make the text sound like the type of music you’re focusing on? A: Yes. I do. Poetry makes music with words. That’s why you can hear drumming in Congo Square, hot jazz in Sugar Hill and a saxophone riffing in Before John Was a Jazz Giant. That’s why I added a beatbox to Roots of Rap. 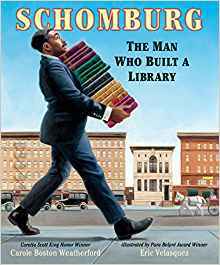 Q: What do you think Frank Morrison’s illustrations add to the book? A: Frank’s illustration are sooo dope! He captures the essence of hip hop culture. His paintings pulse with energy. A: Poetry is vital to children. It teases the tongue, trains the ear to listen and gets kids ready to read. Above all, I hope that children enjoy Roots of Rap as poetry. I also hope more children will try writing rap and discover the power of their own voices. A: I am working on two artists’ biographies and two accounts of hate violence—one a lynching in my family. All four manuscripts are book-length poems. I’m hoping for a taker. --Interview with Deborah Kalb. Here's a previous Q&A with Carole Boston Weatherford.